David Wise Fun album for my toddler and infant sons. 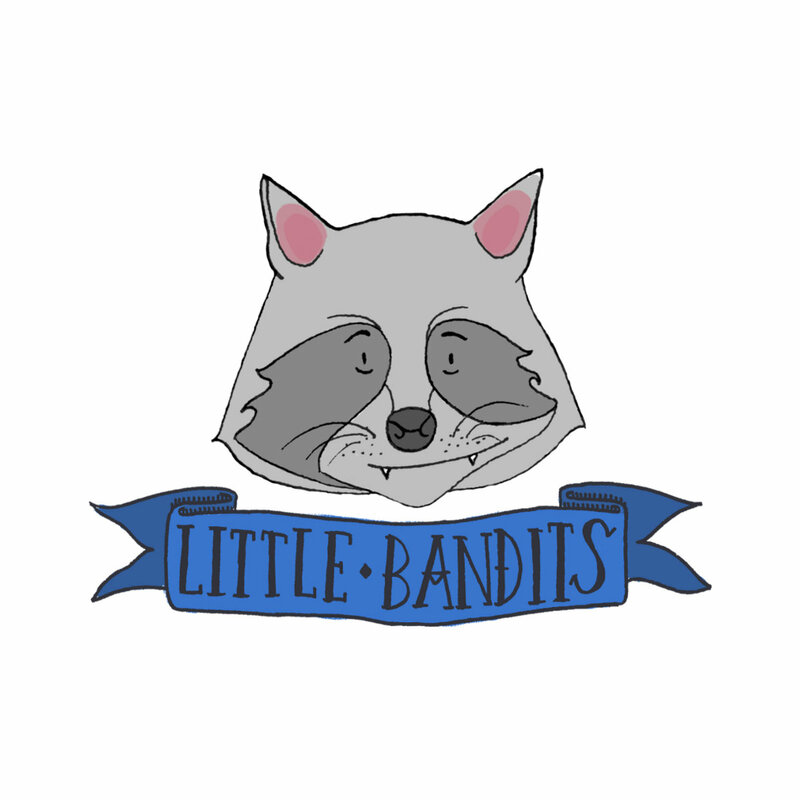 upbeat, produced well, fun, and cute lyrics. 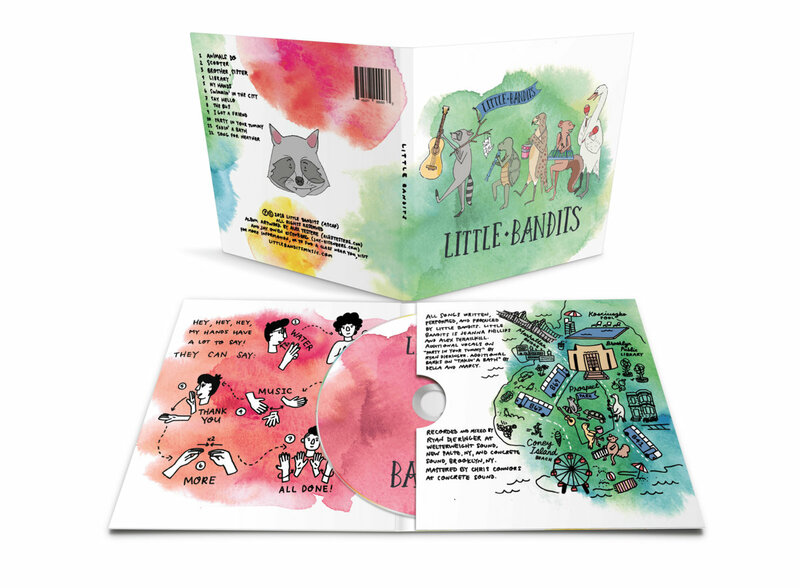 Comes in a gatefold case, featuring artwork by Alex Testere and Jay Owen Eisenberg. 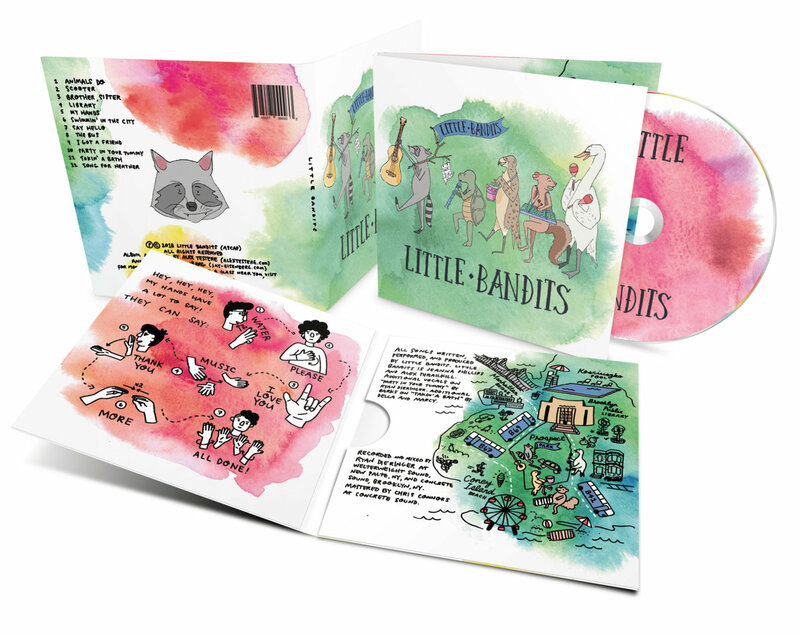 CDs are available for sale exclusively through Bandcamp, or, for no shipping charge, at Little Bandits classes. 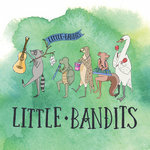 Visit www.littlebanditsmusic.com to sign up. 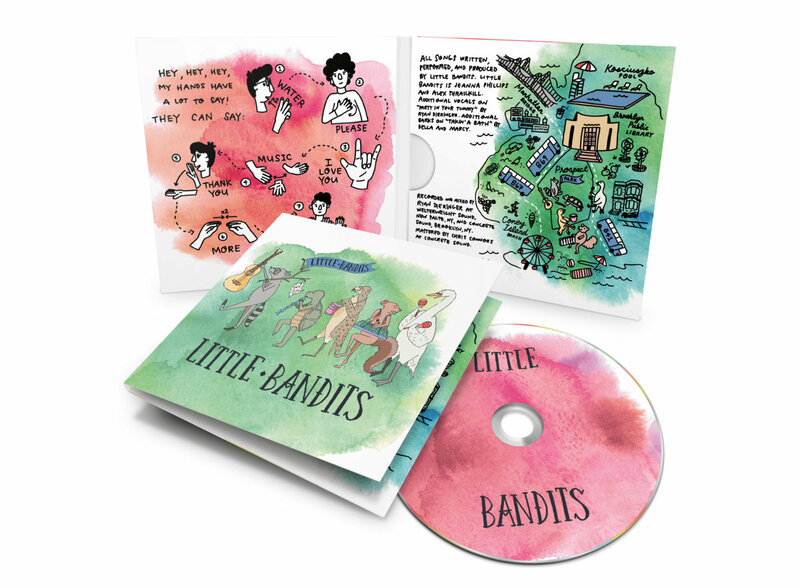 Includes unlimited streaming of Little Bandits via the free Bandcamp app, plus high-quality download in MP3, FLAC and more. 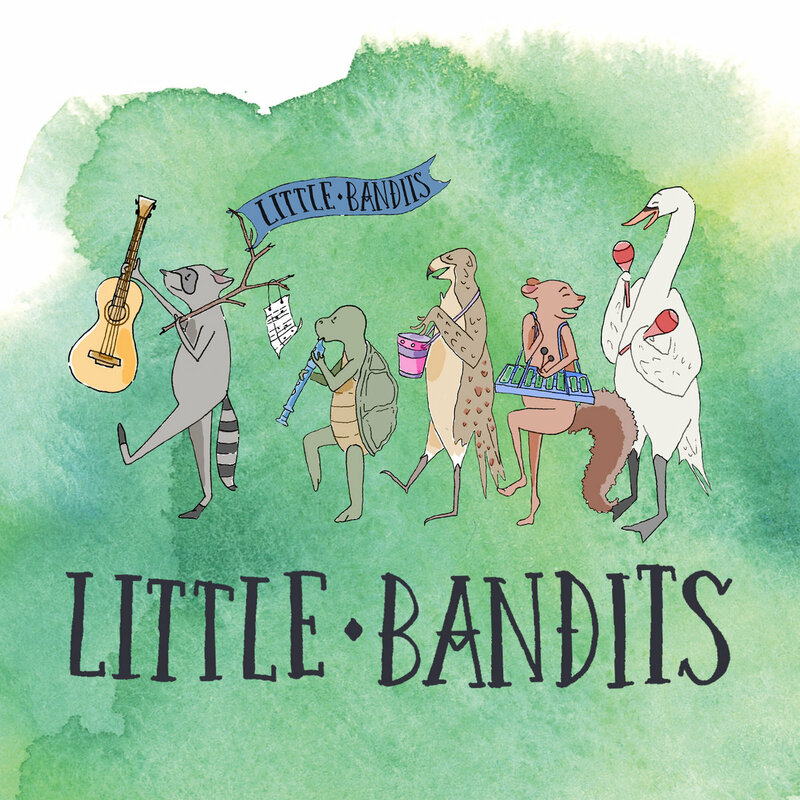 Little Bandits is a weekly music class created by Jeanna Phillips and Alex Thrailkill to introduce young children to the joy of making music together. Jeanna: Oh, Hi Alex! I didn’t see you there! J: You know, I was just about to go for a walk in the park. J: Do you wanna come? J: You know, a lot of my friends live in the park. J: Yeah, my animal friends. J: Yeah, my hawk friends, and my swan friends, and of course there are my turtle friends, and-- oh!-- I can’t forget my squirrel friends. Come on. I’ll introduce you. CAN YOU SOAR LIKE A HAWK? SOAR! J: Hey, look! The swans are gliding in the lake. J: They’re with their babies. They’re called signets. J: Hey, look! The turtles are here, bobbing in the pond. J: Hey-- Wait a minute! Wait a minute! My friends, the squirrels, are here, scurrying around! We have to be really quiet so we don’t scare them. CAN YOU SCURRY LIKE A SQUIRREL? Jeanna: Hey, I’ll tell you something else, I got a cousin. Well, I got a couple. Three-- nine-- ten-- fifteen-- seventy-two-- plus one-- carry the six-- I mean, I got a lot of cousins. I guess, when you think about it, we’re all cousins. Ya know? OR SOME PEOPLE JUST LIKE US! Alex: Hey hey hey woah woah woah woah woah woah woah! A: We’re in the library! J: And don’t even get me started on the Dewey Decimal System! A: Jeanna! We’re still in the library! Ssh! YOU EVER BEEN TO THE KOSCIUSZCO POOL? ALRIGHT ALEX, LET’S TAKE IT TO THE MANHATTAN BRIDGE! Jeanna: Alright, let’s take a big bite of carrot. Mm! That is tasty! Is there dill in there, or what? Jeanna: OK, let’s have a big bite of spinach. Mm! That might be my new favorite food! Jeanna: OK, let’s have a bite of broccoli-- I don’t know about this, it doesn’t look so good. Hmm. Well, that is just de...LICIOUS! Cookie: Heard there’s a party-- is there room for me? Cookie: I may look familiar. I’m a chocolate chip, raspberry, pepperoni, mushroom, tortilla chip cookie. Now did you eat all of your veggies? Cookie: Oh, you ate your carrots? THEN THIS COOKIE GETS TO PARTY TONIGHT -- ALRIGHT! SO YOU BETTER TREAT THAT TUMMY RIGHT.